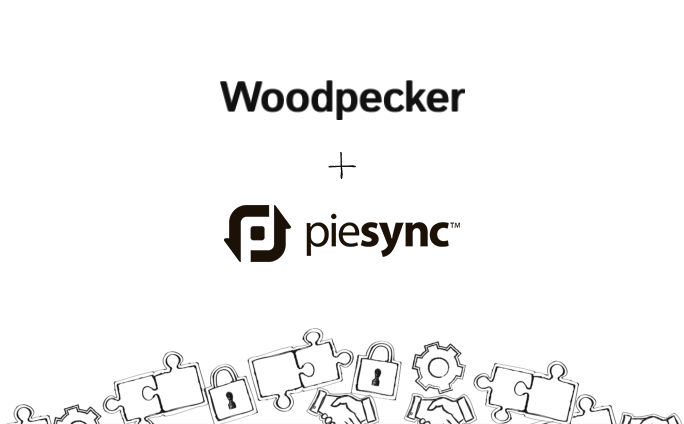 PieSync was created to keep any database of yours, such as the prospect base in Woodpecker, synchronized between all applications that you use. It can be Woodpecker syncing to your CRM (or any other supported app of your choice), or the other way around. What PieSync really excels at is two-way sync, which will even work both ways simultaneously. The data is intelligently merged, and you don’t need to worry about duplicates (they are detected and properly managed) or bad overwrites (you choose which app takes precedence). This could be happening as you are reading this – PieSync monitors your apps 24/7, and synchronizes all their databases for you. You can even set up several sync tasks between many apps. That’s right: multiple apps, and a single, well-maintained database is what PieSync makes completely possible. Ready to roll? Let's get started with PieSync!